CreditEase Wealth Management announced today the establishment of the Overseas Wealth Management Department, which will provide wealth management services to high-net-worth Chinese abroad, and appointed Ms. Zhao Ruobing, senior vice president of CreditEase Wealth Management, as head of the department. Ms. Zhao has more than 20 years of experience in the wealth management industry. She joined CreditEase Wealth Management in 2008 and is a senior executive of the company. 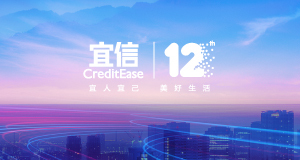 CreditEase, a Beijing-based leading FinTech company in China, announced today that its venture fund, CreditEase FinTech Investment Fund (“CEFIF”) has recently led $62 million Series C round investment in Upgrade. Other investors in this round of financing include Apoletto, FirstMark Capital, NOAH, Ribbit, Sands Capital Ventures, Silicon Valley Bank, Union Square Ventures and Vy Capital. CreditEase FinTech Investment Fund (CEFIF), a USD 1 billion San Francisco based Fintech Fund of the leading Beijing-based FinTech conglomerate CreditEase, recently co-led the seed round in mobile gamification company Blast. CreditEase FinTech Investment Fund was recently ranked No. 3 globally in “The Most Active FinTech VCs” and its Managing Director Anju Patwardhan was listed among the “20 Smart People” in financial services globally by CB Insights. 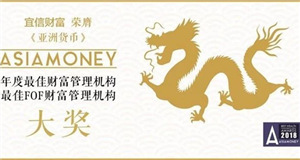 Leading industry magazine "Asiamoney" announced the winners of the 2018 Asiamoney China Independent Wealth Management category. Following winning this category in 2017, CreditEase Wealth Management again won the “Best Wealth Management Firm of the Year “ and also won "Best Wealth Manager for Fund of Funds “for the first time.